5D Institute | Email Blast! 5D Science of Fiction is the cutting-edge world building conference: an annual international collaboration with global thought leaders for the future of storytelling. 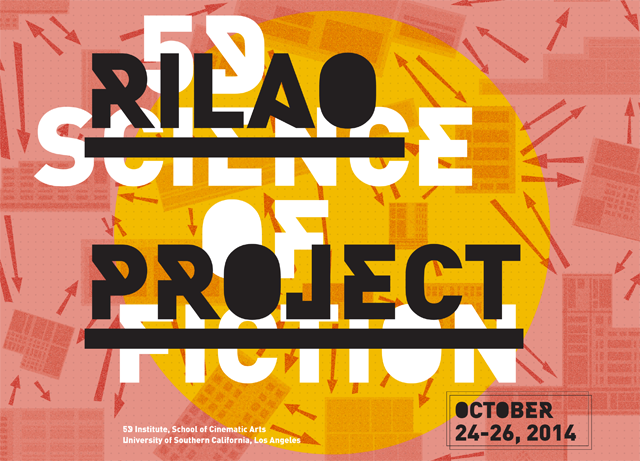 This October we present and co-create a fictional city named Rilao. We will explore Rilao’s history, systems, cultures, tribes and stories. And through Rilao we will creatively and critically re-envision the near-future horizons of our own real-life cities and world. The Rilao Project is a collective endeavor of experts, teachers and world building students across multiple divisions at USC Cinematic Arts, as well as from participant schools in Los Angeles, Rio de Janeiro, London, Rotterdam, Toronto, Dessau and Melbourne. At this year’s Science of Fiction, we will present the vast world of Rilao and invite world builders, global thought leaders and conference participants to engage with and develop new narratives for this mythical city. In a single day the entire audience will participate in a collaborative investigation into the future of media and culture through the exploration of Rilao. Participants will explore the practice and process of building a world through research, immersive experience and discussion. Participants will also develop fully realized tangible prototypes that may take the form of mapping and indexing, virtual field studies using digital recording media, and models of the world using multimedia and mixed reality platforms. Participants will experience the practice of world building and be exposed first hand to the power of the collaborative process. We’re building a city that’s already a laboratory for the future. While Rilao will have all the conditions of a real city, and can contain everything a real city contains, its fictional status allows us to imagine new possibilities, to dare cities, and to dream. 5D Institute is empowering the next generation of storytellers with tools and skills to solve problems whimsically, metaphorically, emotionally and empirically, at multiple scales but always through a profoundly human lens. Updates & ticket information will be posted to the website as it becomes available. The Science of Fiction 2014 is October 24-26. 5D BLAST is edited by Alex McDowell and designed by Matchbox Creative. © 2014, 5D | The Future of Immersive Design. 5D Institute is an Organized Research Unit within the USC School of Cinematic Arts. It is a non-profit organization dedicated to the education and dissemination of World Building. We are a group of designers, scientists, artists and educators who like talking about learning about seeing better stories. 5D thanks USC for their continued support. No longer wish to receive our emails? Unsubscribe.